This post initiates a new series that will provide periodic updates related to the WTO Government Procurement Agreement (GPA). Armenia Accepts Revised GPA: On May 7, Armenia notified the WTO that it has accepted the Protocol amending the GPA. As a consequence, the revised GPA will enter into force for it on June 6 (30 days after it submitted its acceptance). Armenia joins the 12 parties that implemented the revised GPA in 2014. That leaves only two parties – the Republic of Korea and Switzerland – that have yet to implement the revised GPA. Costa Rica Requests Observer Status: On February 12, Costa Rica requested observer status in the WTO Committee on Government Procurement, the Committee that oversees the implementation of the GPA. Upon the approval of its request, which is expected at the Committee’s June meeting, Costa Rica will become the 30th GPA observer. Montenegro Granted Extension: On April 27, the Committee gave Montenegro an additional two months – until June 29 – to submit its instrument of accession to the GPA. Last October, the Committee approved the terms for Montenegro’s GPA membership and set a six-month deadline for it to submit its instrument of accession, unless the Committee extended the time period. Montenegro will be added to the GPA roster 30 days after it submits its accession document. Tajikistan Applies for GPA Membership: In February, Tajikistan submitted its application to join the GPA and its initial offer of coverage. 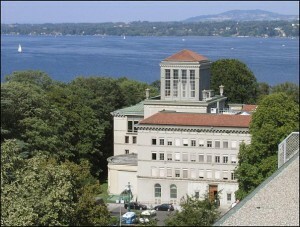 Its application responded to a commitment that it made when it became a WTO member in 2013. At that time, It committed to become an observer to the Committee, which it did in 2014, and to initiate accession to the GPA.